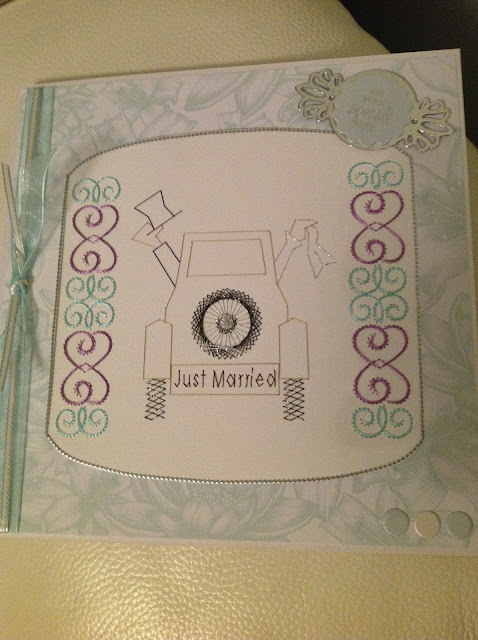 I have used two different styles of stitching for this wedding card, which is 8"x 8". 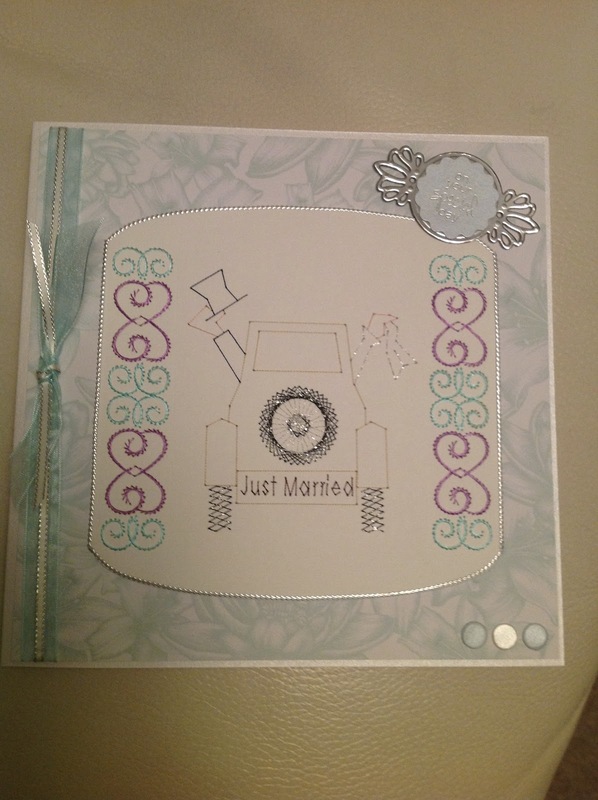 I used Form-a-Lines for the car and for the two stitched patterns either side of the car I have used another die pattern from - Anns Patterns. I stitched onto white card and trimmed it with a flex peel off. I then mounted this onto patterned paper and matched it with some ribbon.